Firstly, the basic content (text and charts) for the second book in the series, B/X Essentials: Classes and Equipment, is now complete! The document is available to view online here. Like the first book, my aim has been to compile and collate the information in as usable a way as possible. Some sections have been massively clarified, when compared to the original B/X rules. See the sections on water vessels and castle construction, for example, which were pretty vague, confusing, and even contradictory, in the original Expert rule book. Secondly, in preparation for publication next month, the cover for the first book, B/X Essentials: Core Rules, is done! The beautiful, colourful illustration is from the hallowed hand of Andrew Walter. 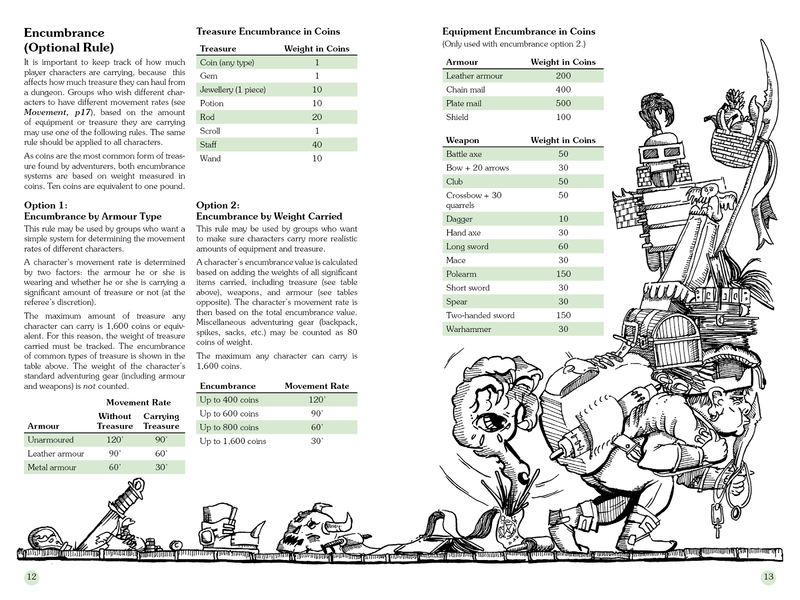 In addition to marvelling at the delightful art by Thomas Novosel, I'd recommend comparing the explanation of the encumbrance rules here against the original rules (see page B20). 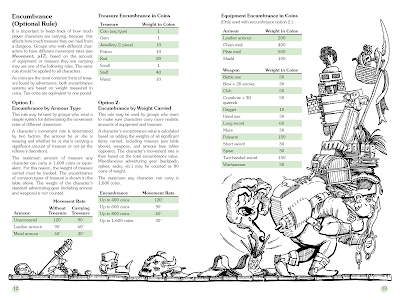 Encumbrance -- as specifically explained in B/X -- is one of those rules that seems simple enough, on the surface, but once you start trying to figure out exactly how it's supposed to work, things gets pretty confusing. To be fair, the B/X books are generally very clearly written. There are areas, though, like this, that are not at all clear, without some prior understanding of what is being described. I've made a great effort to clear up any areas of confusion or ambiguity like this, in B/X Essentials. I hope this spread provides a good example of this and of how the presentation of the Basic/Expert rules can be improved upon. The first book -- B/X Essentials: Core Rules -- is completely written and laid out and is now being illustrated. Publication (in print and PDF) is planned for September. Writing on the second book -- B/X Essentials: Classes and Equipment -- is nearing completion. v0.5.0 (online here) presents complete rules for character creation, classes, and basic adventuring gear. Work on sea vessels and hirelings is under way. Plans are afoot for a third book in the series -- B/X Essentials: Advanced Characters. 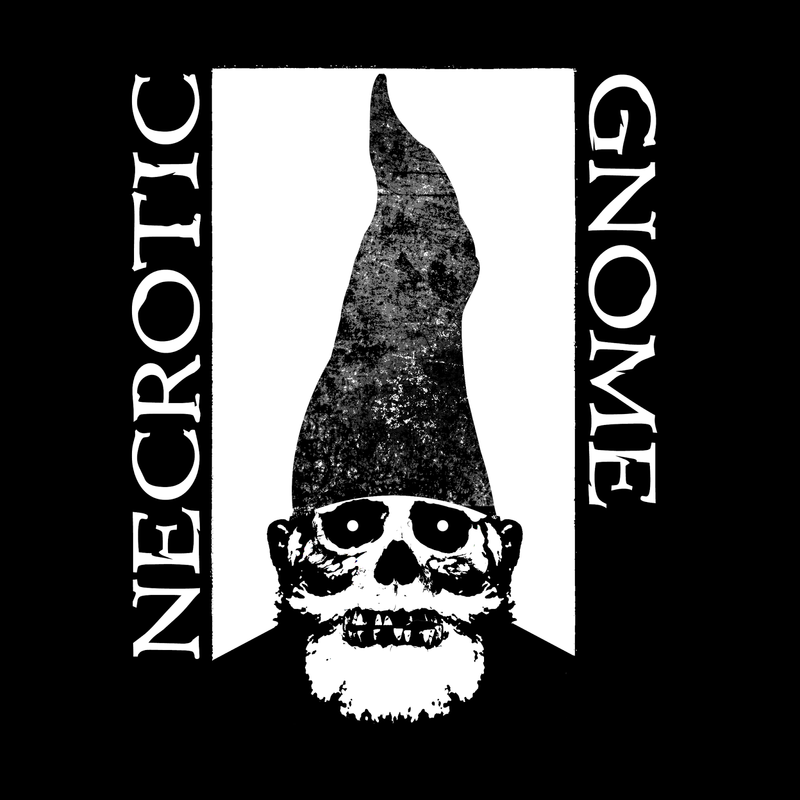 This will provide rules for characters in the vein of AD&D, with separate race and class and the time-honoured profusion of additional character classes, all designed for use with the core B/X rules. Now, as to the title of this post, I thought it was about time to give people a glimpse of the inside of the fully laid-out book! So, here's a four page preview of the PDF. 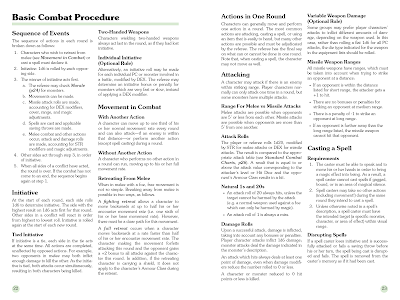 This is the entirety of the combat section of B/X Essentials: Core Rules -- the complete B/X combat rules on two spreads. 100% accurate rules clone. B/X Essentials, unlike other clones or games inspired by B/X, goes to great efforts to be 100% accurate to the original. Nothing is altered. Nothing is added. Nothing is removed. Organised for quick reference. The text of B/X Essentials is consciously kept concise and is broken into logical chunks, each with a header and contained on a single page, making quick reference possible. I believe this is the clearest expression of the Basic/Expert rules available to date. Clarified rules. The original rules are delightfully straightforward, but there certainly exist areas of confusion and ambiguity. (Check out the rules for encumbrance, wilderness chases, or sea vessels, for example.) B/X Essentials presents greatly clarified descriptions of these rules. 100% Open Game Content. In addition to fancy, fully illustrated print / PDF editions, the B/X Essentials rules are released in a simple text format licensed as 100% Open Game Content (under the OGL). The fresh expression of the B/X rules can thus be freely used by other people for the creation of their own house rules documents and B/X-inspired games. How does B/X Essentials compare to the original B/X books? The main (and major!) difference is that the rules for Basic and Expert play are combined, rather than being split across two books. Also, as mentioned above, B/X Essentials is written as a quick reference, presenting a clarified and better organised presentation of the rules. Areas of ambiguity or contradiction in the original rules are cleared up. How does B/X Essentials compare to Labyrinth Lord? 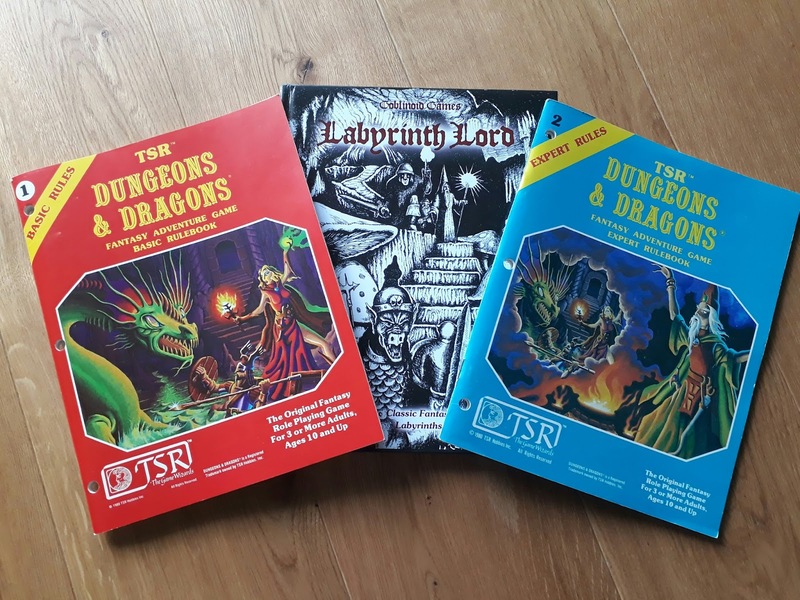 LL also presents a restatement of the classic B/X rules, however its text is, in many places, far too verbose and meandering to be really useful as a quick reference. Also, as noted above, B/X Essentials is a 100% accurate clone whereas Labyrinth Lord introduces several changes to the rules. In B/X Essentials, clerics do not get a spell at 1st level! Where can I get it? 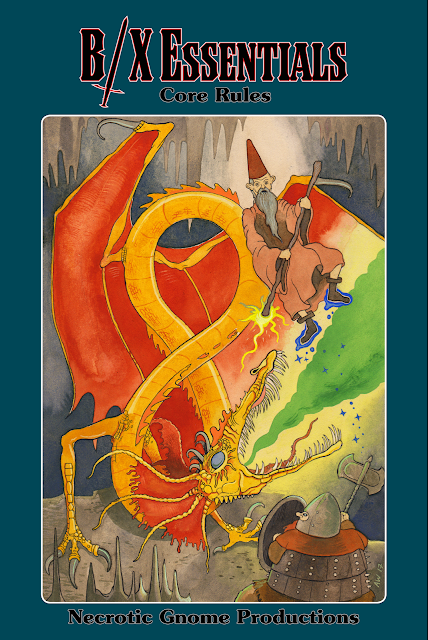 A beautifully illustrated print / PDF edition of the first book in the series (B/X Essentials: Core Rules) is available here. The Open Game Content text of the project (including current work-in-progress on unpublished books) is shared online here. What print formats are available? The primary format is US Trade (6"x9") paperback (perfect- or staple-bound) with a fully-linked PDF. So, yes, this is a small form factor presentation of the B/X rules! The Open Game Content rules are also available in a simple text format. Announcement: Basic/Expert Classes and Equipment! Following on from my Basic/Expert Core Rules project, I've started working on the companion volume: Basic/Expert Classes and Equipment. Basic equipment lists, including weapons and armour. Lots of placeholder section headings. The document is shared online here. As before, feedback is encouraged! Feel free to comment directly on the google doc, comment on this post, on G+, or contact me privately. This is going to be a great looking book! I plan to publish Basic/Expert Core Rules in September, all going well. It'll be released in print and PDF, along with a text-only version for others to take a use as a basis for their own house rules / games. Yes, there will be a "next" with this project. Following directly on from Basic/Expert Core Rules, I've started work on the next in the series: Basic/Expert Classes and Equipment. This will be "character creation" part of the series, with all the rules for creating and equipping a B/X character. Again, this book will focus on a clean, easy-to-read and -reference rendition of the B/X rules. All the information about each class (including saving throw and combat charts) will be presented in one place. In addition, I'll be doing an expanded book (probably called Basic/Expert/Advanced Classes and Equipment) that will contain all of the Advanced character options from AD&D 1st edition. So there you'll find assassins, illusionists, rangers, paladins, half-elves, gnomes, multi-classing, and so on. 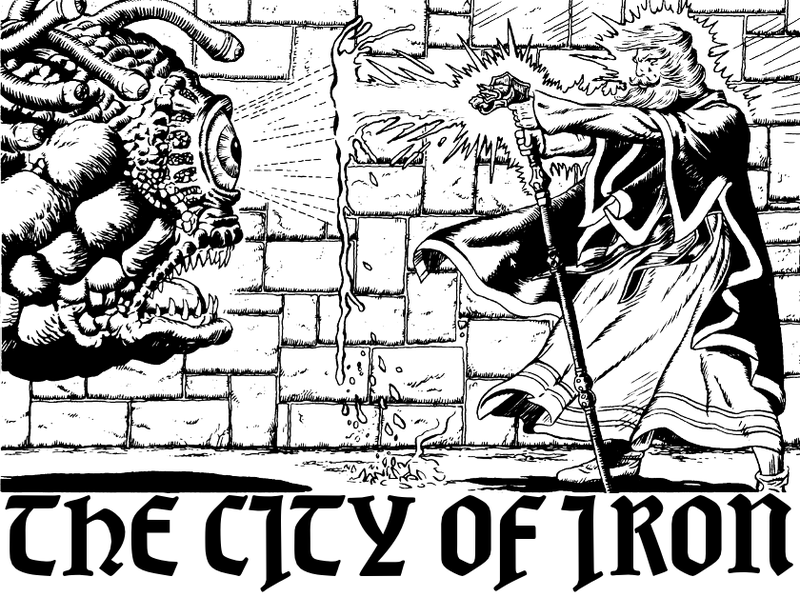 All presented in a way that's 100% compatible with the B/X core rules. I also have ideas for future books in the series, but for now will leave those unstated. Their creation depends on how well-received the first two books are, essentially.